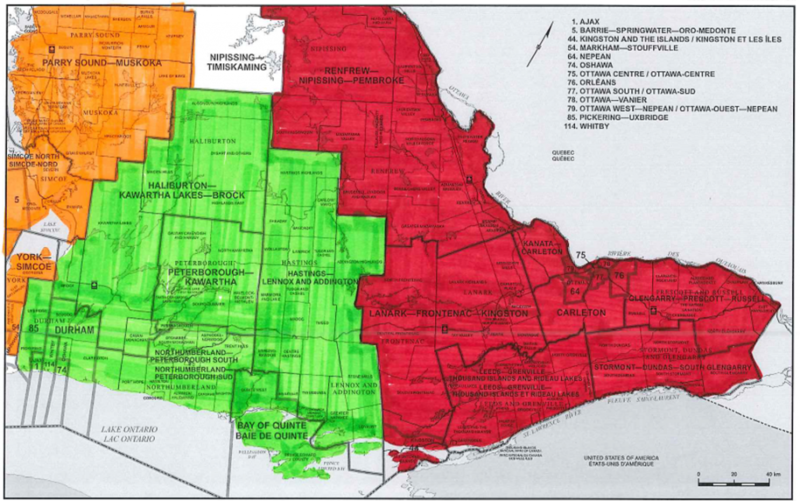 On March 31, 2019, the Provincial Council of the Ontario Liberal Party unanimously ratified an update to the composition of regions outlined in Schedule “A” of the Constitution of the Ontario Liberal Party. 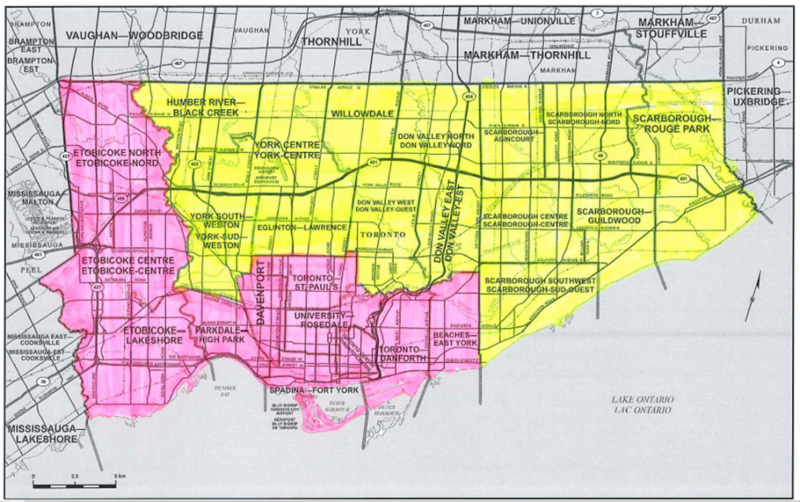 There will be nine (9) regions that include all 124 ridings in Ontario. This update will be effective as of the Ontario Liberal Party’s Annual General Meeting (June 7-9, 2019), where new Regional-Vice Presidents will be elected to serve and represent these regions at Executive Council. 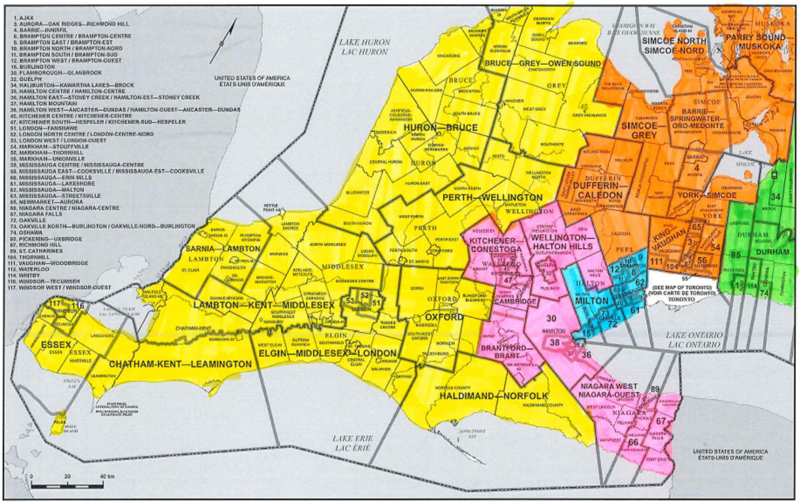 A full list of the ridings within each of the regions is below. New regions (from left to right): South West, South Central, Central West, Central North, and part of the Central East regions. New regions (from left to right): Part of the Central North region, the Central East Region, and the East Region.